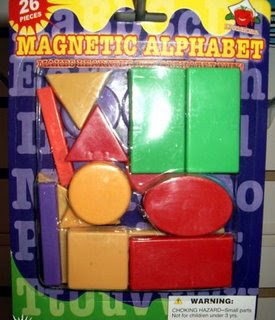 The old Magnetic Alphabet. Good for kids. Now where are all those letters?